Ever since learning about Japanese restaurant Cocoro in late 2010 I’ve always wanted to visit. 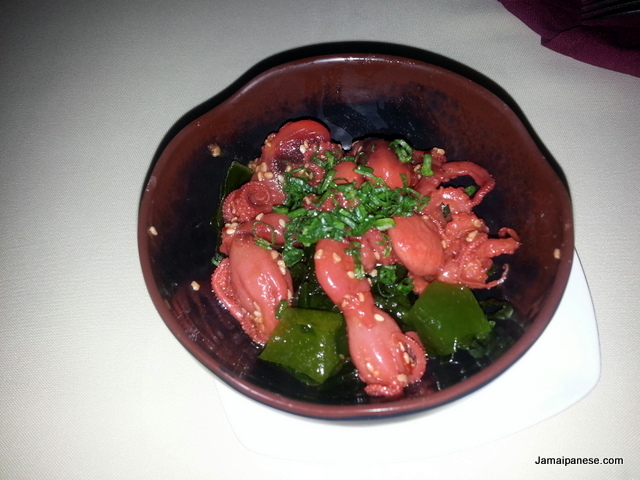 Billed as the best place in Jamaica for high-quality, affordable, authentic Japanese cuisine I had very high hopes. A friend of mine I met at college named Richard is “almost” as big a fan of Japan as me so when we learnt that our birthdays were within two weeks of each other we decided celebrate in a way only Japan enthusiasts would enjoy – by having dinner at a Japanese restaurant.So last weekend we went to Cocoro to celebrate both our birthdays in one. From my experiences eating Japanese food in Japan I think I was much more open to trying new things than I would have been if I didn’t go to Japan. Between me, Richard and another friend we ordered Salmon Skin Sushi Roll and Baby Octopus as appetizers then some Teriyaki Chicken and Friend Shrimp Curry and finally Tebasaki Chicken Wings. We shared a very tasty meal and chatted the night away on topics ranging from anime to exams to maybe planning a group trip to Japan next year. Our waitress probably initially wondered who were these three klutzy students but by the end of the night we had her giggling with us and appreciating our antics. 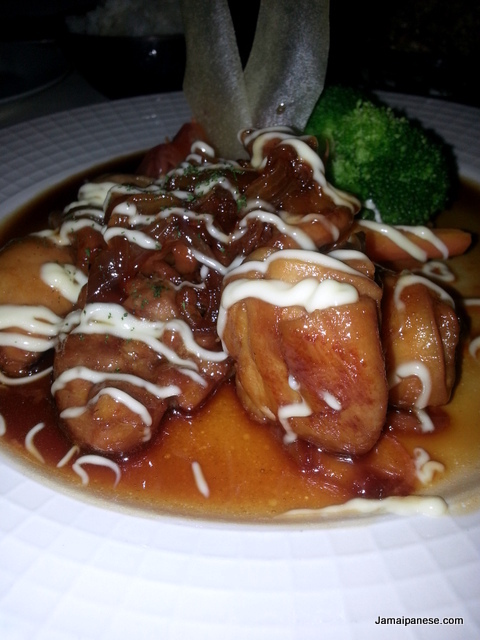 Unsurprisingly Teriyaki chicken was voted the best item on the menu we tried but surprisingly baby Octopus was a close second! Now we will go forth and share our story (and this blog post) with our classmates so that they will be jealous and interested enough to join us at the end of the semester after exams for another trip to Japanese restaurant Cocoro! Happy Birthday again Richard! My birthday is officially on Friday March 8th so anybody reading this before or after that day and wish to shower me with gifts can always pick an item from my *hint* Amazon Wishlist *hint*. 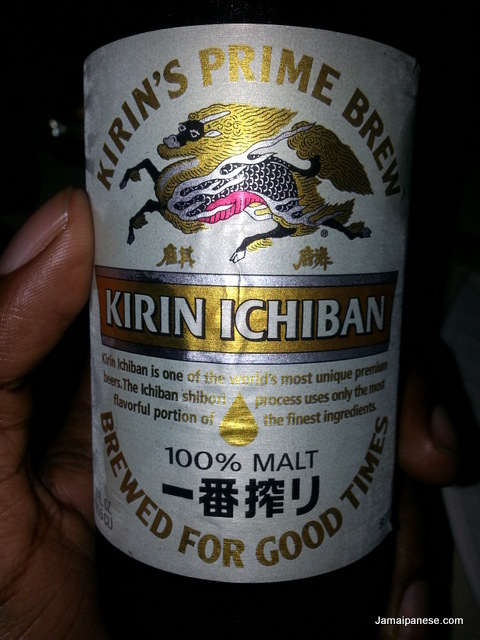 not usually a beer drinker but guess who made an exception for Japanese beer? 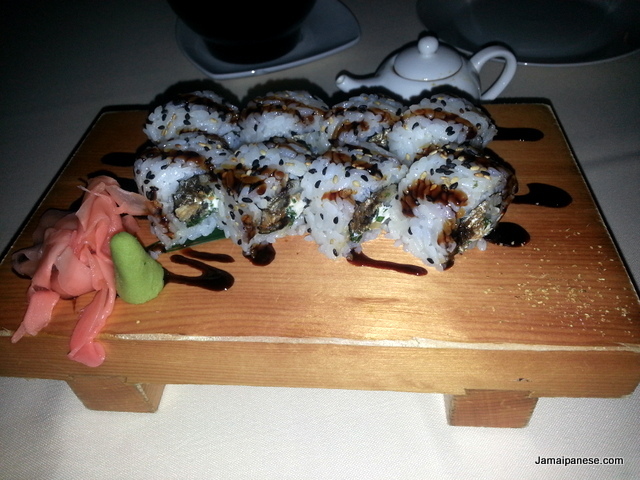 Japanese Restaurant Cocoro is located at 4 West Kings House Close, Kingston 10 on the grounds of the Mayfair Hotel. Check out their website and menu here. Happy birthday…and many happy returns!